Also in Tuesday morning's round-up of news briefs, do young people care about older movies, or is it just about what's happening now? Universal is moving forward with a revamp of its Universal City in L.A. And remembering Bill Asher, director of classic TV shows including I Love Lucy and the "beach blanket" movies of the '60s. This will be Wes Anderson's next project following Moonrise Kingdom, currently in release. 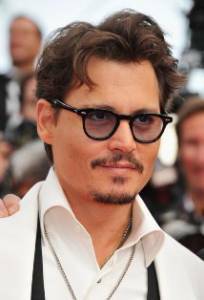 Depp continues to work on The Lone Ranger for Disney, Deadline reports. "Young people, so-called millennials, don't seem to think of movies as art the way so many boomers did. They think of them as fashion, and like fashion, movies have to be new and cool to warrant attention. Living in a world of the here-and-now, obsessed with whatever is current, kids seem no more interested in seeing their parents' movies than they are in wearing their parents' clothes," the Los Angeles Times takes a look at the issue. NBC Universal is proceeding with a 20 year redevelopment of its Universal City property in Los Angeles, scrapping an original proposal to include 3,000 residential units in a backlot, Deadline reports. The Ocean's Eleven producer will receive the Golden Eye lifetime achievement award at the Swiss festival on September 26th, his 75th birthday, and screen a selection of his films. The Zurich Film Festival takes place September 20 - 30, THR reports. Asher directed classic television shows as I Love Lucy, Bewitched and Gidget. He received four Emmy nominations and won an Emmy for Best Director for Bewitched in 1966. He also directed "beach blanket" films such as Beach Party, Beach Blanket Bingo and How to Stuff a Wild Bikini. He passed away in Palm Desert where he retired in 1991, The Desert Sun reports. It's time for Depp to divorce Burton and move to a younger visionary as Anderson. Pun intended. Hi there! I just would like to offer you a huge thumbs up for your excellent information you have here on this post. I will be returning to your blog for more soon.